It is because of William Faulkner that a well-respected literary festival takes place each year in New Orleans. Writers and readers flock to the city to celebrate Faulkner, literature, and what it is to be an aspiring writer. The Pirate’s Alley Faulkner Society, founded in 1990, brings together the community of literary enthusiasts through writing competitions, keynote speakers, education programming, readings, parties, and literacy initiatives. 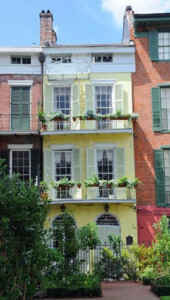 Rosemary and her husband, Joseph J. DeSalvo, Jr. (Joe), acquired Faulkner’s house on Pirate’s Alley in 1988. It took two years to renovate the building, but they knew it would serve to fulfill lifelong dreams for both of them. Joe, an attorney and dedicated bibliophile, had always dreamed of owning a bookstore and Rosemary had decided years before that she would one day live in the house where Faulkner wrote his first novel, Soldiers’ Pay. She told her friends one night in 1963, as they strolled past the literary landmark, “I’m going to live there one of these days. I just feel it.” And live there she would. The bottom floor was transformed into Faulkner Books, a sanctuary for good literature and rare editions, operated by Joe. The upper level was renovated for use as their private residence. What neither Rosemary nor Joe had anticipated was how involved they would become with the writing community. When William Faulkner lived and worked in New Orleans as a writer, he was a poet…and struggling. New Orleans embraced Faulkner and his eccentricities. 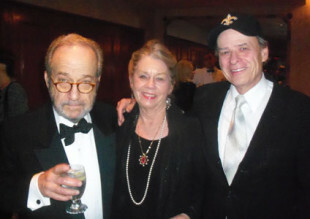 He was encouraged to explore his talents as a writer, and it is hard to quantify the difference his experience in New Orleans had on his career. The Pirate’s Alley Faulkner Society was created to nurture and embrace new and aspiring writers. It is a way to celebrate the literary heritage of the region and of struggling writers everywhere. In New Orleans, that means a party, and the more people you can get to gather around words and music, the more magical it all becomes. 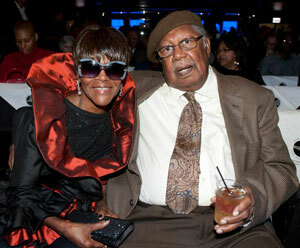 Cicely Tyson and Ernest Gaines enjoy the festivities. The Pirate’s Alley Faulkner Society may have been named in jest, but the idea stuck, and just after their first annual meeting, a decision was made to create a nonprofit organization. The first few years, the events were organized around Faulkner’s birthday, September 25. It was a weekend of celebration called Happy Birthday, Mr. Faulkner! Then, in 1992, the Society committed to reviving the old 1920s journal The Double Dealer. 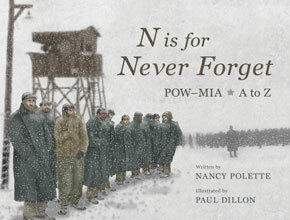 “It was the first publisher of the work of William Faulkner, Ernest Hemingway, and other literary notables,” Rosemary writes. For 15 years, The Double Dealer publication came as a beautiful, glossy magazine containing the writings of both aspiring and well established writers. After years of print production, and mostly because of expense, the last hard copy of the magazine was published in 2007. The magazine continues to serve as a platform for new writers, however. This year, The Double Dealer published three “make-up” issues in a digital format. Content from previous contest winners and other participants was published in the three enormous issues. The online versions afford unparalleled exposure for what might otherwise be unknown writers. Much of the content for The Double Dealer is provided by participants in the writing contest that has spawned out of Faulkner Society events. Words & Music attracts both aspiring and established writers and editors. 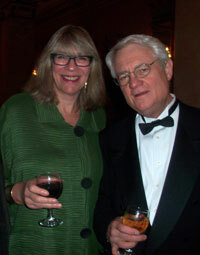 Editor Sarah Crichton and writer Roy Blount, Jr. enjoy the reception. The writing competition, a 1992 initiative, is named the William Faulkner-William Wisdom Creative Writing Competition. 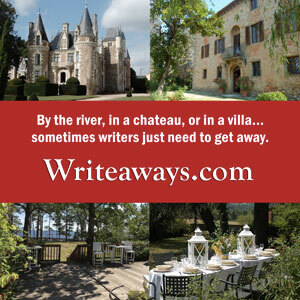 It attracts work from aspiring writers from around the United States and from many other countries as well. Writers submit previously unpublished manuscripts in the hopes of being recognized and ultimately published. The first year, the four categories for entry were for Novel, Short Story, Essay, and Poetry. The contest has since expanded to include competition categories for Short Story by a High School Student, the Novella, the Novel-in-Progress, and, last year, the Book Length Narrative Non-Fiction category was added. The winners are published in The Double Dealer and the participants find value in the networking and opportunities to foster relationships in the writing community. Winners are the Society’s guests at Words & Music, and many other participants in the competition attend as well. After being forced to cancel Words & Music because of a hurricane in 1998, the group moved the annual event later in the fall and out of hurricane season. 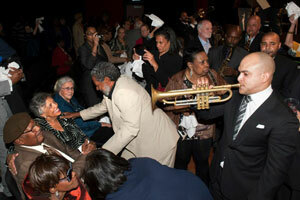 Grammy winner, trumpet artist, and composer Irvin Mayfield leads a second line serenade in honor of Ernest J. Gaines, Dianne Gaines, and Cicely Tyson following a concert in honor of Mr. Gaines, sponsored by Words & Music. Words & Music, a Literary Feast in New Orleans includes many facets, such as the annual meeting, Faulkner for All, a black tie gala at which competition winners are presented; Pan American Connections, which celebrates the work of important authors of Latin American and Caribbean heritage; Spiritual Journeys, focusing on work relating to the spiritual side of inspiration for literary creativity; The Muse on the Mississippi, which spotlights poets and their work; Live Drama, Cinema, and Visual Arts; and, of course, Music. The festival also brings in 14 to 16 top flight literary editors and agents annually to critique work of registered writers and meet with them one on one. They also present limited registration workshops and other advice sessions. All of this is presented against the backdrop of the voluptuous city known as The Big Easy, a city which is phenomenal in its siren call to artists of all genres. Beyond the writing competition, the Pirate’s Alley Faulkner Society has promoted literary education through programs like free master classes for students and teachers and free reader-teaching guides distributed to teachers of creative writing, as well as literary initiatives for teenagers at risk for illiteracy. Joe is 81 and Rosemary is 76, and they know that the work of the Society will only continue with the dedication of a new generation of enthusiasts. In all, the Society impacts nearly 6,500 people every year with the competition, celebrations of literature, publications, and literacy initiatives. Meagan Frank is senior writer at Books Make a Difference. She is the author of the Choosing To Grow series, a national speaker, and coach. Connect with Meagan on the web, Facebook, Twitter, or email. How I love this article and photos and learning about how the Society began. Fascinating that Rosemary and Joe live where Faulkner’s creativity lived. What inspirational vibes! Can’t wait to attend the Words & Music gathering some day. Thanks for writing this lovely piece supporting this literary community and its generous creators. is “The Art of Improvisation in Words, Music, and Life.” Some of our headliners this year are Randy Fertel, Ph.D., author of the new book, “A Taste for Chaos: The Hidden Order in the Art of Improvisation;” who will deliver the theme keynote address; Dinaw Mengestu, the brilliant Ethipian-born young American author of “The Beautiful Things that Heaven Bears,” and his new novel “All Our Names,” coming in March, recipient of a MacArthur “genius” fellowship and the prestigious Ernest J. Gaines Prize; Luis Alberto Urrea, the highly acclaimed Mexican-born American author of “Into the Beautiful North” and “The Devil’s Highway;” Gregory Orfalea, author of the new biography “Journey to the Sun” about the priest largely responsible for settling California, Father Junipero Serra; and many other prize-winning writers including a stellar line-up of poets and 14 literary agents and editors. complete details. And we especially hope that you, Meagan, will be able to participate.